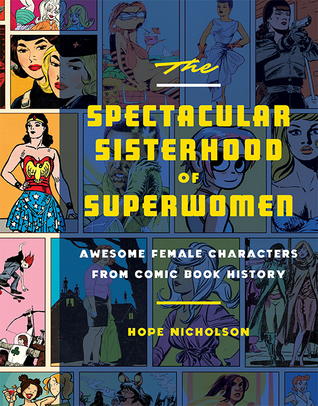 From the 1930s to 2010s, this book offers a variety of heroines from the US comics. Most of them are actually pretty obscure and haven’t been reprinted, which is a shame because they sound fascinating. The book is arranged by decades and each decade has a short essay about what was going in the US comics industry at the time. Each heroine has about a page of text and most have pictures, too. I was expecting a lot more superheroes but they are a distinct minority. Instead the book is filled with early science heroines, intrepid journalists, and private detectives. This was good! It would have been great if their stories were readily available. Maybe the writer wants to shy away from more popular characters but it’s quite frustrating to read about a potentially fascinating character and not be able to read her adventures. Also, I’m not so sure how influential the character was, even when they were published, if they appear in only a couple of issues. I was at first baffled by the absence of heroines like Modesty Blaise and Laureline, until I realized that only characters from US and Canada are in the book. Also, the book has far more DC superheroines than from Marvel. Over here in Finland, Marvel comics were, and still are, published far more than DC. There are even a few characters who start out as exploited pin-ups but end up having adventures of their own, which was great. Overall, I enjoyed visiting these heroines and it was great to see that interesting female characters have always been part of comics, even a small part. A non-fiction book about all things Steampunk: fashion, art, sub-culture, books. 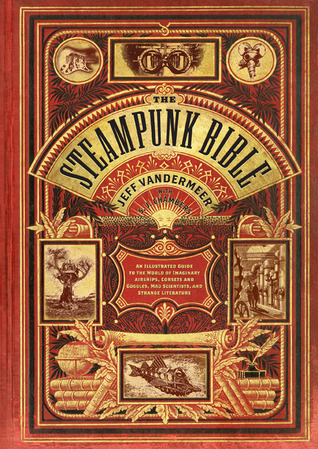 This book showcases the Steampunk sub-culture with lots of gorgeous pictures. It’s divided into six categories: the origin of steampunk, literature, art & craft, fashion & music, movies & tv, and the future. For fiction, it covers only the basics. But the chapter of past gives a lot of information about H. G. Wells and Jules Verne who wrote the first books which can be described as Steampunk. Some other writers are included as well. I was particularly fascinated by the pulp stories written in American magazines because I’ve never heard of them before. The fiction chapter gives an insight into how writers came up with steam powered Victorian stories in the first place. Not all writers can be in the book, so VanderMeer selected the most important ones, such as Blaylock, Michael Moorcock, Tim Powers, and K. W. Jeter. Others, such as Cherie Priest and Ekaterina Sedia, are also included. This is a gorgeous book with lots of pictures of art, fashion, book covers, and more. The TV section brought to my attention a lot of TV shows and movies which I hadn’t know about. It was great to see that many fans, no matter if they’re writers or fashion tinkerers, like the punk, or revolution, of the movement and not just the aesthetics. After all, Victorian England did have its problems, too. I think this would most interest people new to steampunk. While I’ve read or know about most of the books mentioned, I didn’t know much about the sub-culture, either in Japan or USA. There are a few Steampunk enthusiasts here in Finland, too, but I think they’re quite a small group. Non-fiction book about the underground history of London. London Under is a rather quick look into London’s rich history. Ackroyd starts with a general glimpse in how people feel about underground places. Then he moves on to the underground springs, rivers, and sewers. In the last few chapters he tells about the London underground railway, and how it was built. He also talks about books and films based on the London underground. I found the book to be pretty interesting but Ackroyd only mentions briefly the part which I find most fascinating; the archaeological finds of ancient times. I was also very interested in the psychological parts. On the one hand, people tend to hate and fear underground places and shun other people who are forced to live underground, for whatever reason. But on the other hand, underground springs are seen as holy and during war times, people took shelter in the underground stations. Ackroyd also lists some ghost stories set in the trains or train stations. I don’t live a city with an underground, but I use a lot of buses and trains so I understand the feeling of being both part of a crowd and alone when traveling in public transport. I’ve traveled on the London underground a couple of times, years ago, but I don’t remember much about it anymore. The book has quite a few pictures, drawing and photographs, which I liked a lot. I think the book could have benefited from maps, too. I’d love to go to London with this book and look up some of the places. Overall, I found this to be a decent look into London’s history but it’s so short the Ackroyd can’t really concentrate on any topic but has to move along at a brisk pace. He apparently has a similar book about Venice (Venice: the pure city). Has anyone read that? Or The Casebook of Victor Frankenstein? Arc is a new quarterly magazine from the New Scientiest magazine. Their blog. The links have samples to the articles and short stories. Editor Simon Ings kindly offered me access to a review copy. As I understand it, the 160 page magazine is only available on-line. Some of the articles have hyperlinks embedded and I found these very helpful. In Forward, Frederick Pohl reminiscences about how he became a fan of Science Fiction and a member of the World Future Organization. In Present Tense‘s article “Nobody Knows You’re a Dog”, Anne Galloway and Submit Paul-Choudhury discuss about technology which is now used on animals, from pets to livestock to wildlife. Concerned pet owners have been tagging their pets because they can know just where their pets are but also for uploading their pets’ funny moments on the Internet. Canada has passed a law that all farm animals must be tagged with a RFID chip but USAian farmers have bitterly protested a similar law. However, is it possible that soon consumers will require food animals to have the tags so that the consumers can know how the animals are being treated and where they are really from? But do consumers really want such an intimate relationship with their food? Personally, I’ve often been baffled and saddened by the attitudes that big businesses have and it seems that it really is up to the individual consumer to force the businesses to treat the animals (and employees and us sub contractors!) humanely. But it takes a lot of time and effort, so many people don’t even bother. This sort of tagging could help with that. Of course, I’m sure plenty of people would be very uncomfortable with knowing more about their food sources. In Prior Art Sonja Vesterholt and Simon Ings remember Pavel Klushantsev. I haven’t even heard of this Russian filmmaker so it was interesting to find out that he influenced many of the famous SF films, including Prometheus. The issue has four short stories with the theme of post-humanism. 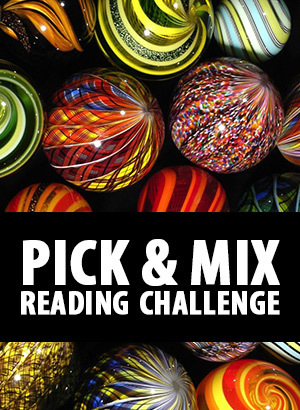 I enjoyed them all but my favorites were VanderMeer’s and McAuley’s stories. Nick Harkaway’s Attenuation: Sonny Hall has just returned to consciousness after his trip from his original body on Earth to his new body on Waystation. But something has gone wrong: he’s old body is still alive and about which causes Sonny pain and his mind is stretched between the two bodies until it will snap. Also, he has amnesia so he can’t remember if someone else has done this to him or if he has been part of some scheme. He has to find out. I found the world interesting. The bodies, even the original ones, are called corpses. It seems that people who are able to travel, have a more cavalier attitude towards their bodies that those of us who have just one. The new bodies are apparently grown and the basic stock is Caucasian; you have to pay extra for other type of bodies. Unfortunately, I didn’t really connect with Sonny. We get to find his background a little by little while he solves the mystery. The story is written in present tense. Paul McAuley’s The Man: The Jackaroo have gifted planets to humans. Yanos is one of them, circling the M class red dwarf sun Sauron. The planet doesn’t turn, so one side of it is always towards the sun and the other away from it. Human settlements are in the twilight area where it’s bearable to live. Cho Ziyi lives in a small cabin with her two huskies. They live as best they can in a world of perpetual snow salvaging what she can from nearby ruins of a factory, although she doesn’t actually know what the place had been and who had built it. One day, a naked man appears on her door. At first Ziyi thinks he’s human maybe a survivor from a bandit attack. But quickly she realizes that’s not the case. Ziyi is an old woman who has lived a hard life. But she’s not bitter, just tired of humans. Although that might be because the few humans around her aren’t very likable; they, too, have hard lives and do whatever they need to survive and get a better life. Ziyi lives alone and only goes to town to get gasoline and food. I found the world quite intriguing. The Jackaroo are an alien race which came to Earth after several countries had nuked each other’s cities. Some humans wanted to stay and fix the Earth, and maybe they did, but some wanted to get off the planet and start a new life. However, the planets given to humans don’t appear to be easy to live on and this seemed to have been a surprise to the people who won the lottery and got off Earth. T. D. Edge: Big Dave’s in Love: Big Dave is the heart and leader of Gaffville but he’s been under the weather for a while. His underlings, the bio-toys, have been worried that he won’t be able to protect them anymore. But then, his batman Jack brings the joyous news that Big Dave has seen an soulled woman and is in love, and all is well again. The town celebrates. Unfortunately, Dave himself isn’t so sure of it. This story is written in present tense and with some slang. Fortunately, the slang isn’t broad enough to make the reading difficult but brings a certain rustic charm to the tale. In this story almost all of humanity has been wiped out, this time nine years ago by sludge-flood which is still threatening the remaining people. Having a soul seems to keep it back and falling in love expands one’s soul, so it’s a big deal. Especially since the bio-toys believe that soulled humans can share their souls with the toys. In Komodo by Jeff VanderMeer the story’s protagonist tells their story to a child, who doesn’t necessary even understand the language the protagonist is using, and to everyone else who are listening. The story starts inside a giant green alien plastic head and will take you for a wild ride with angels and King Komodos and celestial bears, and not in a linear structure. Arc is also looking for new short stories. In Inner Space column, Regina Peldszuz talks about the problems that space travelers will have to face; namely isolation and boredom. Even though a lot of fiction dealing with space flight tends to center on action/adventure, some have dealt with this problem, too, such as movies Moon and Dark Star. While the space travelers can take entertainment with them, the problem is to have something that all of the travelers enjoy – or don’t easily come bored with. In the Unevenly Distributed column, Gord Stellar examines South Koreans. They were propelled to the space age when most of them were just farmers (with oxen, not tractors) but they have adapted. Their old customs and religions can be seen just below the surface. Many seems to cling to the old ways as a shield against the modern alienation. I don’t know anything about South Korean so this small look into their culture was fascinating. In the Spaces column, P. D. Smith discusses about the fun and pleasure that cities provide. City dwellers seems to have a tendency to want places just for fun, from theater to sports stadiums. This goes as far back as the original Olympics and people throughout ages have taken part in various urban entertainments. In the future, it’s possible that entertainment places are even more in demand. In the Play column Holly Gramazio examines the way that adults are playing in modern cities. Geocaching is perhaps the most famous example of this (and the only one I’m familiar with). It uses modern technology to let adults come out and play. However, it seems that more and more games are designed to take advantage of the in-between places of cities rather than demanding that cities be built specifically for play. In the Games column Kyle Munkittrick muses about the narrative power of modern video games. Most of them give the player the power to choose different actions but only a few makes the player question the morality of those choices. They can also point out that the player has only a limited number of choices and none of them are palatable, like sometimes in the real world. All of the examples sound like interesting games but unfortunately I haven’t played any of them. I found almost all of the articles interesting and it was particularly nice that they all were optimistic and hopeful about the future, and even about today’s world. We’re currently almost flooded with bad news so it’s a refreshing change. 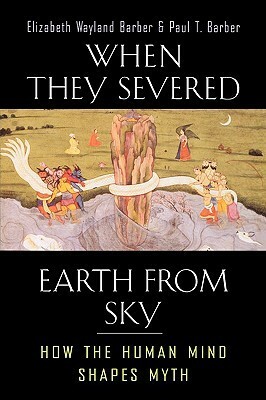 The book has been divided into four parts: Physics, Chemistry, Biology, and Geology. They have been further divided into several parts by chronological era. Because each era get relatively short page count, there’s no space to go in depth so we only get a short overview of each subject. The book has also plenty of pictures which are pretty but which further reduce the word count. Physics has four parts: Ancient Cultures, From Middle Ages to Renaissance, the Scientific Revolution, and Modern Physics. Chemistry begins with a few pages about alchemy and then moves to 1808 with John Dalton in the second part. It has been further divided into “the Great Leap” starting with plastic and fibers, and “A century of Chemistry” starting with polymers. Biology starts from the Ancient times. The next chapter is from Middle Ages to the start of the Modern Era, and concludes with Modern Biology. Like Chemistry, Geology is mostly centered on the modern times. The first part is about measuring the Earth. It starts with a few pages about what people knew in Ancient times and about theories a few men had about the size of Earth and what it was made of. Then it continues to Isaac Newton’s theories (and how they were proven correct) and on to modern science about the changes in the planet. The next part is about the Building blocks which starts again with what people in Ancient and Middle Ages thought about the origin of Earth and the universe. The modern part starts again rather quickly and tells about Earth’s temperature, core, and shell. 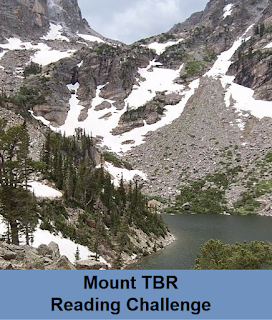 The next part expands on that with the formations of mountains and seas. The last part is Fragile Planet which is about how we strip mine the planet and what is being done to protect it. I was a bit surprised when I realized that I already knew most of the stuff about the Ancient Culture Physics and Biology but that probably comes from reading so much history. Although, both Ancient world Physics and Biology are centered on Greek and Roman philosophers and early scientists. Physics has a page devoted to the theory and study of Physics in the ancient India and China which I found fascinating since I don’t know much about them. Most of the second part of the Physics part of the book centers on writings done in the Islamic countries. The book focuses on modern, European times and it’s a good overview. However, the theories are explained only briefly which can be a problem. The Chemistry part especially went just over my head. Of course, there are plenty of further reading material. I was overjoyed when I found this book in my local library. The essays examine the more modern (the book was printed in 2003) warrior women in TV, and if and how they subvert the Western tradition of the just male warrior. It has three essays about Xena, another three about Buffy, and one of La Femme Nikita and one about Star Trek: Voyager’s Seven of Nine. I rather enjoy introspective thoughts about pop culture but the books themselves are pretty hard to get here in Finland so this is actually my first such book. There are some clear similarities in the themes and plots in Buffy and Xena. Both are female warriors who fight against clearly defined evil warlords and conquerors or supernatural evil. Both shows also feature complex, prominent relationships between women. Both defend the helpless and the innocent (often women and children) against evil. Xena also often explicitly defends the home and domesticity against offenders. Even though both series have a lot of violence and and a warrior as the main character, the scripts have often an underlying message of peace and anti-violence (which is thought to be a feminine message for some reason). Therefore, both characters are thought to be an alternative to the male just warrior arc type. Nikita is more complex case. For one thing, her world isn’t clearly black and white, and the organization she works for has a lot of gray areas. So, it can be difficult to tell who is right or wrong. The viewers can’t be sure if she’s a just warrior, after all. Laura Ng’s Nikita essay is the only one to mention the traditional way that Western society handles any violent woman: calling her mad and out of control. Even wives defending themselves against abusive husbands are quick to be called mad because the traditional role for women is a passive nurturer. While Buffy has one episode where she’s actually an inmate in an asylum (Normal Again) that’s not because of her violence; in the episode Buffy has only imagined being the Slayer at all. Against this cultural baggage, it’s no wonder we don’t have many action heroines compared to the number of action heroes. I had a lot more trouble with Edrie Sobstyl’s essay “We who are Borg, are we Borg?” which centers on Seven of Nine. For one thing, I don’t consider Voyager (or TNG for that matter) to be a feminist show. For another, I would think that the obvious just female warrior in the show would have been Captain Janeway. Sobstyl references writers who think that cyborgs can be subversive feminist characters and I have real trouble with that. Cyborgs, as they are often depicted in pop culture, don’t have minds of their own and therefore they are only capable of following their programming. Granted, it can be irrelevant if a cyborg is a male or a female, but I haven’t yet found much evidence of that kind of writing. Seven of Nine is written very differently from Commander Data or even the male Borg Hugh. Granted, Hugh has only appeared on two TNG episodes while Seven was a regular on Voyager for many years. Is it possible that they were written differently because their characters needed different plots and themes, rather than because of gender? If Seven had just blithely accepted her humanity in the first episode when she was freed, would she have been as complex a character? By the way, I do have several problems with the way she was handled and her options as a character were pretty much as limited on Voyager than as a Borg, so the crew were at least somewhat hypocritical when dealing with her. All in all, I really did enjoy reading these analyses of some of my favorite shows. Can anyone point to some more?